Eternal Orthodox Church calendar for the 21.03 year 2017. When the Emperor"s chief counsellor, Tarasius, was, while still a layman, chosen as Patriarch of Constantinople, many were then given the monastic habit by him - these being laymen, friends and admirers of Tarasius. Among them was this Theophylactus. Tarasius sent him as bishop to Nicomedia. He was, as a bishop, a good pastor to his flock, and showed a rare compassion towards the poor and wretched. After the death of St Tarasius, Nichephorus succeeded to the patriarchal throne in Constantinople, and, shortly after that, Leo the Armenian came to the imperial throne. This latter was an iconoclast and as such stirred up a veritable storm in the Church of Christ. Although the iconoclast heresy had been proscribed by the Seventh Ecumenical Council, this Emperor restored it and tried to displace Orthodoxy. 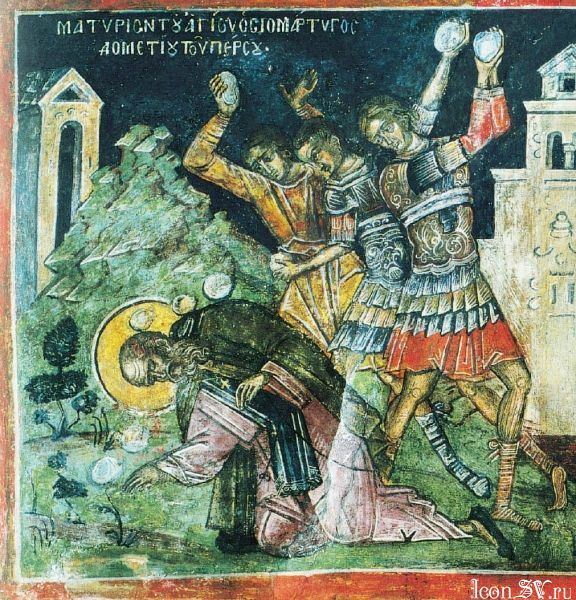 St Theophylactus withstood the Emperor to his face, and when the latter would not retract, said to him: "O king, great destruction will come upon you, and you will not find anyone to deliver you from it." 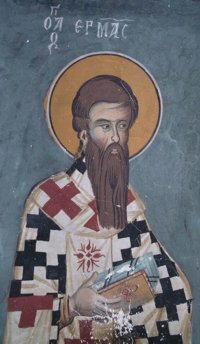 For speaking thus St Theophylactus was, at the Emperor"s command, deposed from his seat and sent into exile, where he spent thirty years enduring many difficulties and insults and where he finally gave his soul to the Lord in about 845. The Emperor Constantine built a cathedral in Antioch, and adorned it with great beauty. The people named this church "the golden church", because of the exterior and interior gold-work and because of the amount of gold and silver plate in the church. The Emperor also gave this church vast lands for the support of the clergy, whose number was considerable. The custodian of these vessels and all the precious things in the church was the priest Theodoretus, a man of great faith and rare devotion. When Julian the Apostate came to the throne, he denied Christ although he was baptised, and launched a persecution of Christians. His uncle, also called Julian, came to Antioch and plundered the golden church, brought Theodoretus, as the treasurer, to trial and put pressure on him to deny Christ. 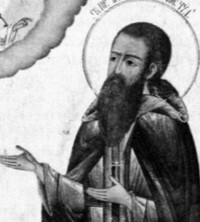 Theodoretus not only refused to deny Christ, he also scolded the Emperor Julian for having fallen back from the true Faith and turned back to idol-worship as a dog to vomit. When the evil judge, out of capriciousness, urinated in the golden church, Theodoretus prophesied a terrible death for him, which soon overtook him. Theodoretus was beheaded with an axe for the sake of Christ, and the judge, Julian, felt pains in his abdomen from the time he had urinated in the church. His whole abdomen was rotted by worms and he vomited up his apostate soul in the most terrible torments. Also Felix, an assistant of his, died in fulfilment of Theodoretus"s prophecy of a haemorrhage from the mouth immediately the righteous man had been beheaded. 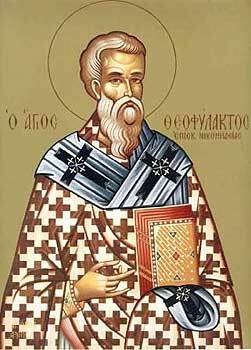 St Theodoretus was beheaded in 362 and went to the glorious Kingdom of Christ the King. 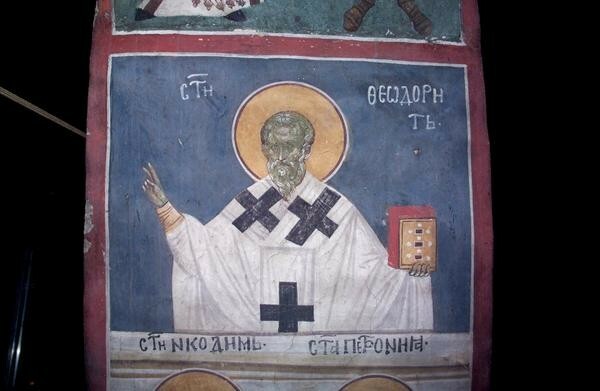 The Holy Disciple from the 70, Hermas, was bishop at Philippopolis, and died a martyr in the I Century. In the Epistle to the Romans the holy Apostle Paul summons the Romans to greet the Disciple Hermas (Rom. 16: 14).